1835 started off with a bang. On January 30th, an assailant fired two shots at President Andrew Jackson as he was leaving the House chamber. The shots missed. Ironically, a short time later, Samuel Colt patented his revolver. In early Spring, Georgia passed the death penalty for anyone publishing anything that could incite slave rebellions. Abolitionists ranted. Most of the South approved. Lots of tension, lots of change. Changes also led to the Mint becoming a very busy place. For the first time ever, there was a large amount of silver and gold available for use. New steam technology brought the introduction of modern, state-of-the-art coinage presses which could strike coins quickly and efficiently in a close collar. 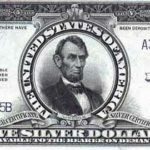 These factors were instrumental in the Mint’s entering the modern era. Enter Christian Gobrecht. By 1835, the talented engraver and medalist had worked for the Mint for over a decade, but without an official, permanent position. Among other assignments, he was responsible for many of the device punches that were used on the earlier Capped Bust coins. Finally appointed second engraver after Chief Engraver William Kneass’ debilitating stroke in the summer of `35, Gobrecht immediately set to work on bringing Patterson’s ideas and Sully’s painting to life. The result was to grace the coinage for over half a century. The Sully/Gobrecht Seated Liberty design was adapted for use on half dimes and dimes in 1837. It depicted a robed Liberty seated on a rock, holding the Union Shield inscribed with LIBERTY in her right hand and a pole topped with a Liberty cap in her left. Except for the date, the figure sits alone in clear fields. The reverse features a laurel wreath enclosing the denomination HALF DIME, with the legend UNITED STATES OF AMERICA encircling the periphery. As opposed to the later coins issued with stars, the cleanness of the fields gave the coin a powerful, aesthetic impact, often presenting a cameo appearance on higher grade pieces. 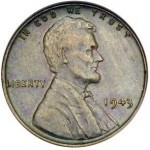 On July 25, the first new half dimes were issued. About 20 or so proofs were struck for presentation to dignitaries and VIP’s. Approximately 12-14 of these are known today, and they can be distinguished from business strikes by particularly bold detail and fully reflective surfaces. Additionally, all true proofs show very clear triple punching on the 8 in the date (this should not be regarded as diagnostic criteria for all proofs, though, since this feature is also seen on early die states of the business strikes). 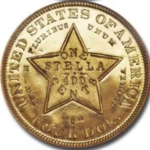 In 1838, and for that year only, No Stars half dimes were coined in New Orleans. 70,000 pieces were struck, and these represent (along with the similarly dated dimes) the first regular issue silver coins struck at a United States branch mint. The 1838-O half dimes saw heavy circulation and are much rarer than the Philadelphia coins of 1837. Unlike many first-year-of-issue coins, virtually no one saved any pieces as souvenirs. 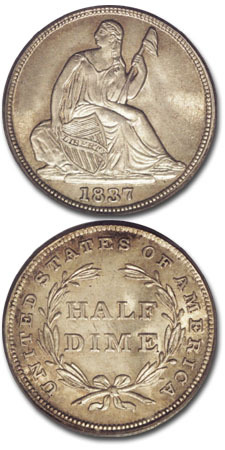 As a result, mint state 1838-O half dimes are extremely rare and almost non-existent in grades higher than Mint State-63. 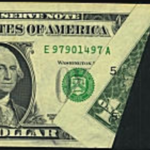 When grading this issue, check the high points of the breast and knees on the obverse and the ribbon bow and tips of the leaves on the reverse. The 1838-O is more difficult to grade. Many pieces were struck from heavily rusted dies. In addition to this die rust, the overall quality of strike was poor. 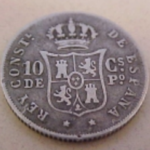 These coins looked worn as soon as they left the die, and even a short stint in circulation left them with a wretched appearance. It is possible to find an 1838-O with minimal die rust and a reasonably decent impression, but they will never compare in overall appearance to the 1837 Philadelphia issues. No Stars half dimes are very popular. Although very few collectors are still attempting to complete Seated Liberty date sets, higher grade No Stars examples have great eye appeal and are highly coveted by type collectors. From an artistic standpoint, this coin is one of the most uncluttered coins ever struck in the United States. Due to the rarity of 1838-O, 1837 is almost always included in type sets. In 1838, the original hub of 1837 was retained, but thirteen stars circling the obverse (arranged seven to the left and six to the right) were hand-punched into each die. This was done to quell criticism from those who took issue with the lack of the traditional stars signifying the original states. Although a case could be made for the aesthetic appeal of the no stars design, the issue was moot after the release of the 1838 Seated Liberty quarter with stars on its obverse. Both the half dime and dime design were then changed to conform to the Mint’s policy of similar designs on all coins of the same metal. Christian Gobrecht’s majestic depiction of Liberty, however, would continue on the half dime until 1873, when Congress stopped production of the tiny silver five cent piece in favor of the increasingly popular Shield nickel.